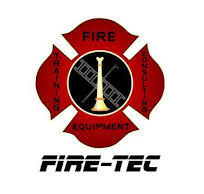 Founded by firefighters in 2008 with a focus on training, Fire-Tec has established relationships with the leading fire equipment manufacturers around the world. These global alliances allow Fire-Tec to test and evaluate the latest in firefighting technology and then offer training on the newest and most advanced products to fire departments who acquire them. Their training staff has over 20 years of experience in the field, working in some of the world’s busiest firehouses. They are active participants in industry conferences worldwide, and from the United States to Latin America and Europe, they are constantly consulting and, of course, they never stop training.